Thanksgiving is a time of celebration and reflection. Across the United States, many of us gather with family and friends to feast, watch football and to enjoy each other’s company. It is also a time to think about those in need and to lend a hand where we can. Puritan enjoys a strong tradition of donating to services and nonprofits large and small. Larger organizations that Puritan has given to include the American Folk Festival, Americares, Mercy Ships and Womancare. We also have supported and continue to support art, healthcare and nutrition programs in local school districts; Boy Scout and Girl Scout troops; and community events, such as a local Kiwanis’ canoe race here in Maine. This year, we were able to lend support to three important causes serving those needing treatment for addiction rehabilitation, those living with HIV/AIDS, and those affected by Hurricane Michael. Here are their stories. Habilitat provides addiction treatment and recovery services in Kaneohe, Hawaii, with a success rate three times the national average. Founded in 1971, Habilitat is a private, non-sectarian non-profit organization recognized as one of the most successful substance abuse treatment programs in the world. It is a two-and-a-half year, live-in experience that challenges residents on every level. Habilitat works with people from age 18 to 60, and from all socio-economic, cultural and educational backgrounds. The organization specializes in helping people who have lost hope to transform into hardworking, caring human beings who are a benefit to society. Puritan has enjoyed a partnership in giving with Habilitat since 2014. So when the organization asked for a donation of 6” standard wood tongue depressors (SKU#:704) for its medical services division, we were happy to help. Earlier in the year, we gave a case of 6" standard cotton swabs with wooden handles (SKU#: 806-WC). Each year, Camp Hollywood Heart serves 80 young adults, ages 15-20, who have been affected by HIV/AIDS. Based in Malibu, California, and founded by film producer David Gale, the camp enjoys the support of several Hollywood actors. Camp visitors include Michelle Williams, Cuba Gooding, Jr., Charlize Theron and David Arquette, to name a few. Camp Hollywood Heart offers campers the opportunity to explore their interests in a number of art forms, such as acting, creative writing, the culinary arts, documentary filmmaking, fashion, music and the visual arts. Puritan had the opportunity to get involved this year, donating foam-tipped swabs for visual arts workshops. The teaching artist was looking for durable swabs that could be used with acetone to transfer images onto canvas. 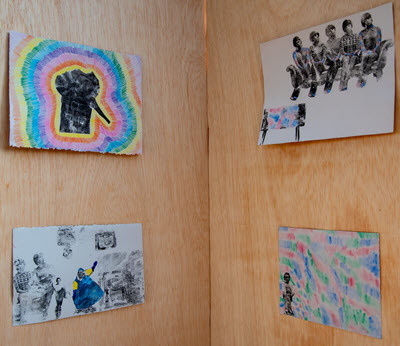 living with HIV/AIDS the opportunity to pursue their interests in the arts. The swabs needed to be highly absorbent and able to withstand short exposure time to the acetone. Puritan had just what they were looking for, and we were happy to donate PurSwab 5" rectangular anti-static foam swabs with conductive plastic handles (SKU#: 1805-PF RECT) and large foam-tipped applicators with plastic handles (SKU#: 1806-PCFL). 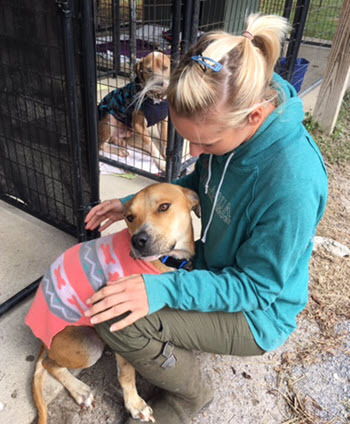 In the dark days following Hurricane Michael’s devastating strike on Florida in early October, Alaqua Animal Refuge in Freeport, Florida, spread the word: Pets left homeless by the storm were welcome. The idea was to give cats, dogs and other loved ones the care they needed while their owners got back on their feet. With additional tenants came additional need – including a need for medical products. That’s when Florida-based Elaine Maliff, who works in business development for Puritan, went into action. Soon after she heard the news, Elaine was heading to Alaqua’s door, a donation of medical products filling her car. Alaqua Animal Refuge is a private, nonprofit animal sanctuary serving Florida’s Emerald Coast. Founded in 2007, it is the premier no-kill refuge, providing protection, shelter, care and adoption services to animals in need. The shelter typically provides respite for more than 350 animals at any given time. Over the years, staff and volunteers have found homes for more than 15,000 animals, with up to 100 adoptions completed each month. In October, Alaqua Animal Refuge of Freeport, Florida, opened its doors to animals left homeless in the aftermath of Hurricane Michael. Staff and volunteers made sure animals got the attention they needed while their owners recovered. Puritan is proud to have helped make the recovery a little easier for pets, caretakers and owners alike. No word yet on just how many additional animals Alaqua welcomed after the storm. But you can bet they got the care they needed, thanks in part to Elaine’s generosity. We’re looking forward to playing a part in these and other organizations’ important missions in the year ahead. If you would like more information about Puritan products, please contact one of our knowledgeable product specialists today.